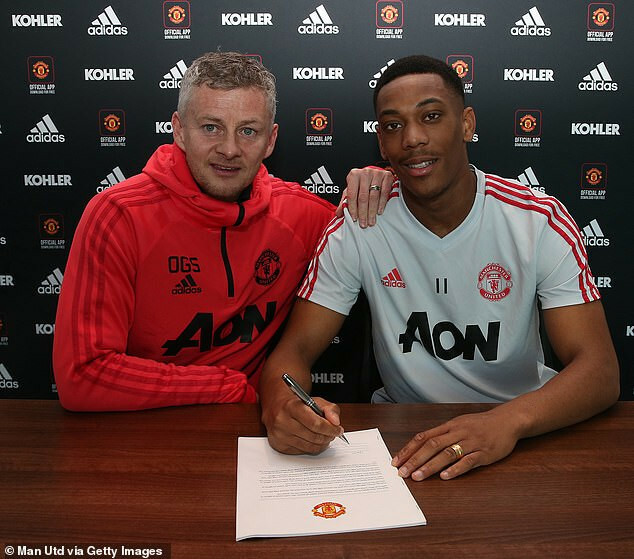 French football star, Anthony Martial whose previous deal was due to expire next summer has committed his future to Manchester United by signing a new contract worth £200,000 a week until the end of the 2023-24 season. According to Mail Online Football, Martial's improved contract also includes the option of a further year, which could take his stay at Old Trafford to a decade. Speaking after putting pen to paper, Martial said: 'I am loving my time at this club. 'From the day I joined I have been made to feel part of the United family and I have been incredibly humbled and overwhelmed by the warmth and love of our fans, who continue to amaze me with their support. Manchester United interim manager Ole Gunnar Solskjaer also paid tribute to Martial, saying 'Anthony is one of those naturally gifted players that any coach would love to work with,' Solskjaer said. 'For a young man, he has a good footballing brain which, when coupled with his exceptional talent, makes for a player with an exciting future ahead of him.